Central Finance & Investments Ltd is a Sales and Marketing Group promoting a Group of Companies lifestyle products and services as well as providing mortgage & debt reduction services, business networking, affiliate referral programs and our very own money making system. CFI opened its doors for operation New Zealand in 2008, which was a subsidiary of Mortgage Reduction Systems (1998) Limited, based in New Zealand from the original company in June 1993. Central Finance & Investments Ltd is domiciled in Auckland, New Zealand. This company is capitalized by one single stockholder and one principal investor, the owner of this firm, Gavin Marsich. 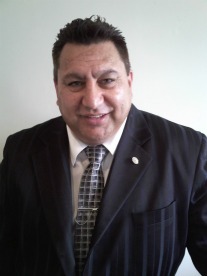 Gavin Marsich has had over 18 years Real Estate & Finance Industry experience and has experience as a Mortgage Broker, in New Zealand and NSW, Australia. Gavin Marsich owned and operated Mortgage Reduction Systems Ltd that were one of many mortgage reduction strategists back in the late 1990's. The software has been upgraded but is still being used today with a proven history of success. He has many accreditations and is our Mortgage Reduction Strategist and the sponsor for this firm. Central Finance & Investments LTD and Gavin Marsich, has been accredited to the Mortgage Industry Association of Australia (MIAA) with (AFG) Australian Finance Group. For the past 14 years, clients have engaged in his services with proven success stories. CFI has mortgage reduction strategies that have helped many people save tens of thousands of dollars in interest and slashed the term of loans in half or less, even without increasing some current mortgage repayments. With the NEW Home Star Rating system we can provide New whole Home Ventilation Systems, Fujitsu Heat Pumps, Insulglaze Double Glazing for Windows, Pink Batts for Insulation to make the homes we live in dry, warm and healthy. This total debt consolidation incorporating any additional lending can be achieved and Gavin is still able to provide plans that slash interest, charged by the bank and pays the total debt off years earlier. With alll these years of experience even novice agents have enjoyed the organizational tools, concepts and guidance offered. Central Finance & Investments Ltd is a company that completes mortgage reduction applications to assist homeowners to reduce their loan terms rapidly through a debt elemination process following a mortgage reduction plan. We are domiciled in Auckland and soon, throughout New Zealand. It will focus initially on homeowners/property investors (buyers) and property developers/real estate agencies (sellers). Our customer service philosophy is unique. In a philosophic sense, Central Finance & Investments has four distinct customer groups: homeowner/property investor, property development & real estate agencies, sales consultants & brokers and wholesale product and service alliances. Homeowners/property investors are our first customers. Property developers/real estate agencies (sellers) pay commissions from the sale of their properties and Financiers pay commissions from the introduction of NEW Mortgages and are the direct clients of the sales consultants/brokers. We will never lose our focus that these clients who have retained Central Finance & Investments Ltd to sell their properties, are our first obligation. Our second real customer is the buyer of owner occupied or investment properties. We will provide superior personal services to buyers. Our third real customer is the sales consultants/brokers. It is the sales consultants/brokers job to provide a professional service to both property developer/real estate agency, financiers and homeowner/property investor, specifically in this order. Therefore, it is the direct responsibility of Central Finance & Investments Ltd, to provide service to our sales consultants/brokers. Our fourth real customer is the wholesale product and service alliances. These alliances provide products and services at discounted rates that enable our clientele to benefit from the use of products through our business referral & loyalty rewards network to enjoy a better lifestyle and financial future. At Central Finance & Investments Ltd, our principal service consists of a debt elimination product called fast track financial solutions, a mortgage reduction software that minimizes mortgage interest payments and the term of the loan. Our services provide our clients with a network of corporate providers. Because of our capabilities to network with these agencies, we can assist our clients to become financially independent faster than our clients could if they tried too without the assistance of a professional qualified financial advisor. In addition, our developers/real estate agencies will list their properties with our agency because of our aggressive and highly-skilled professionals. We will continuously have an above-average sales force to generate and close the property deal. Our main business activity is to assist home and business owners to cut personal and business costs through planning and budgeting. We are Mortgage Reduction Strategists that know how to facilitate structured and tailored mortgage and business finance packages. We specialise in reducing interest charged by the bank. Our unique network affiliate's program allows further savings and most 30 year mortgage terms can be slashed to 5 - 8 years within most Banks and our client's can save in excess of $100,000 to $500,000 in interest savings. The owner of Central Finance & Investments Ltd is committed to success in the finance and property market and adheres to the strict rules handed down by the governing bodies of the finance industry, hence the reasons why we have aligned ourselves with a mortgage facilitator that is registered as a Financial Advisor. Our Consultants simply complete the mortgage reduction application process and then assign the mortgage facilitator that provides the advice and recommendations needed. Our high level of commitment will enable the company to attract top professionals as sales consultants, mortgage brokers and financial planners/advisors and clients looking to buy and sell residential real estate and investment properties.